Discover our fantastic selection of cod recipes, all written by our expert chefs. These cod recipes are easy to cook and perfect for cooking time and again at home. 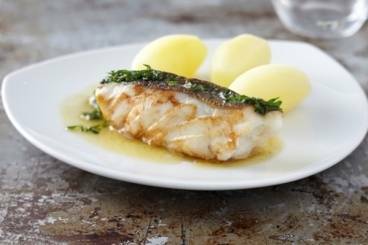 Low-fat and white in flesh, cod is a saltwater fish which has a flaky texture when cooked. Whilst this makes it ideal for baking, frying or grilling, the most well-known way of enjoying cod is in the British dish of fish and chips, where cod is deep-fried in batter and served with chips, tartare sauce and mushy peas. A classic gastor pub dish, roasted fillet of cod which is finished off cooked in a broth of smoked bacon and clam. Cod steaks cooked with chorizo served with a courgette puree and a rosemary crumble. 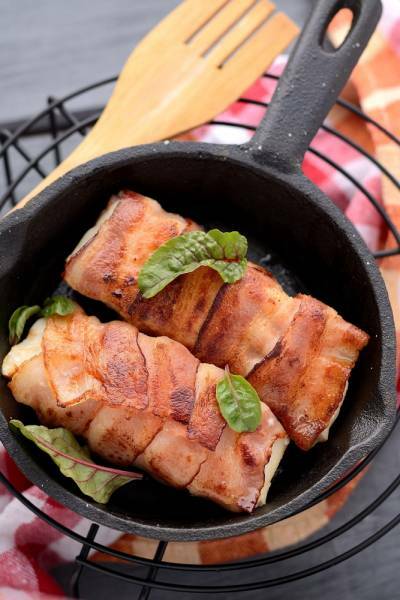 Cod wrapped in smoked bacon and served on a bed of aubergine caviar. Cod steak cooked in shellfish sauce and served with mussels and cockles, a spiced carrot and sweet potato purée and a fresh herb salad. 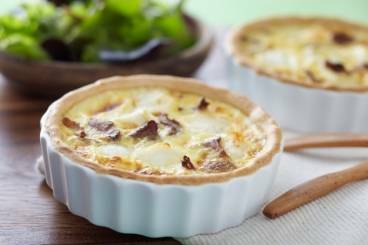 An easy quiche recipe made with ready to roll pastry and a filling of cod, mixed wild mushrooms, eggs and cream. Pancakes made with cod, chervil and chives and served with fresh apple. Crisp cod steak served with a creamy smoked haddock sauce, charlotte potatoes, peas and fresh herbs. A quick and simple recipe for cod brandade made with truffle oil and fresh apple. Cod steaks cooked in a brown butter sauce and sprinkled with a squeeze of lemon juice.